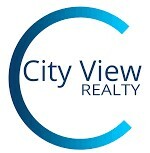 Our firm opened up and began servicing the real estate needs of Austin, Texas in 2004. As broker and owner of City View Realty I founded the company in order to preserve and pass along what I came to love about my native city. Through the city’s growth we have been able to provide professional services while keeping Austin’s uniqueness alive. We have over 30 agents who live, work and play all over Austin and the surrounding communities. Talk to any City View Realtor and you’ll learn about their favorite neighborhoods, schools, builders, and even restaurants and shops. I built my company on the philosophy that anyone that aspires to own a home has the opportunity to do so no matter what level of affordability. Homes. Condos. New Construction. Lots. Ranches. Waterfront. Commercial. We do it all. We are an established real estate brokerage with some of the area’s most talented and successful agents. We know the ins and outs of a deal and how to create win-win situations to help our buyers find the perfect home and our sellers find the perfect buyer. and San Antonio Board of Realtors. Whether you’re moving into or out of Austin or Central Texas area, our agent’s passion for our cities and real estate can you help you make the right move.